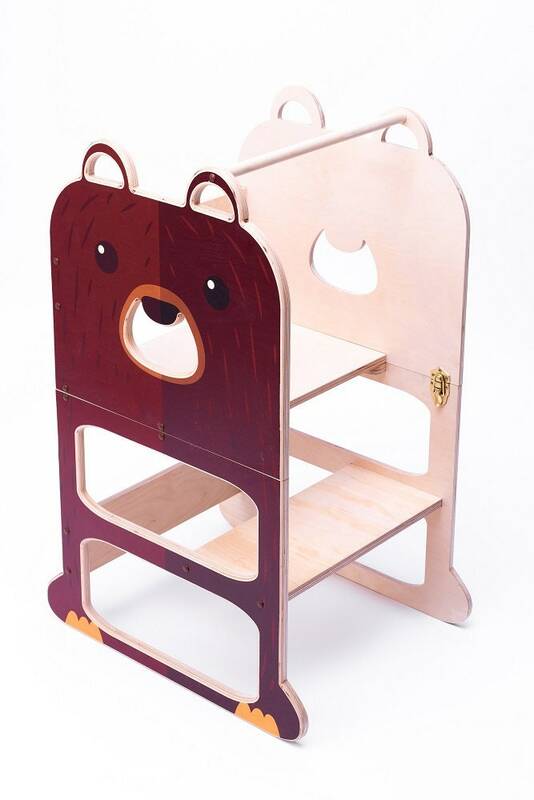 Kitchen step stool for TWO ''Lovely Teddy Bear'' , step stool for children, table and chair. 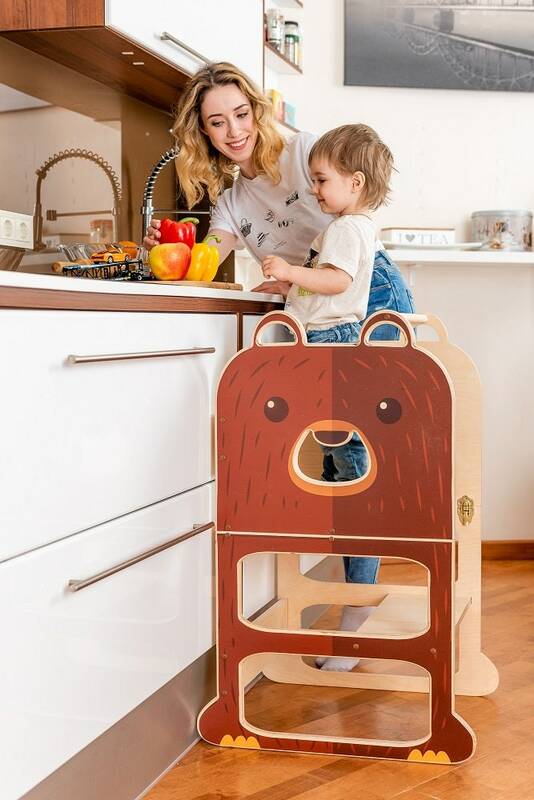 Montessori kitchen step stool ''Lovely Teddy Bear'' which can be easily transformed to table and chair is designed and created for learning, cooking, climbing, sitting next to the large family table and eating or just playing. 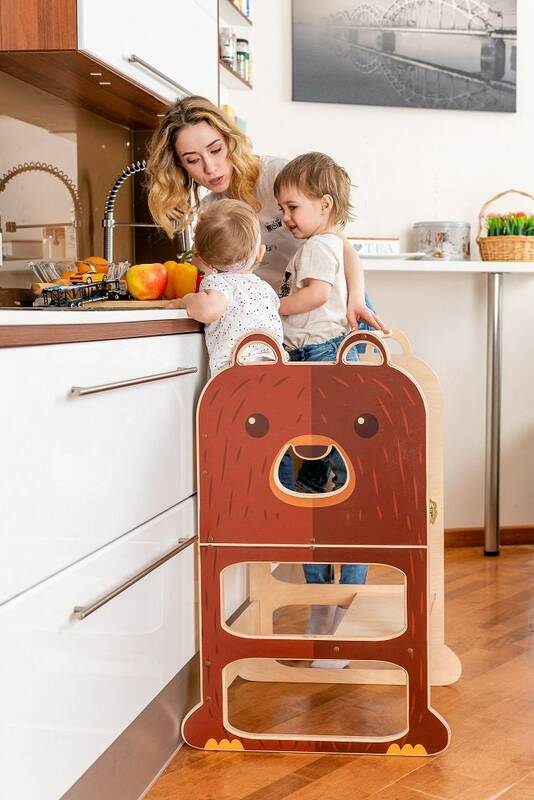 And what is the most excitatory that this kitchen helper looks like a toy and it can become as a friend for your child. How it will help learning? 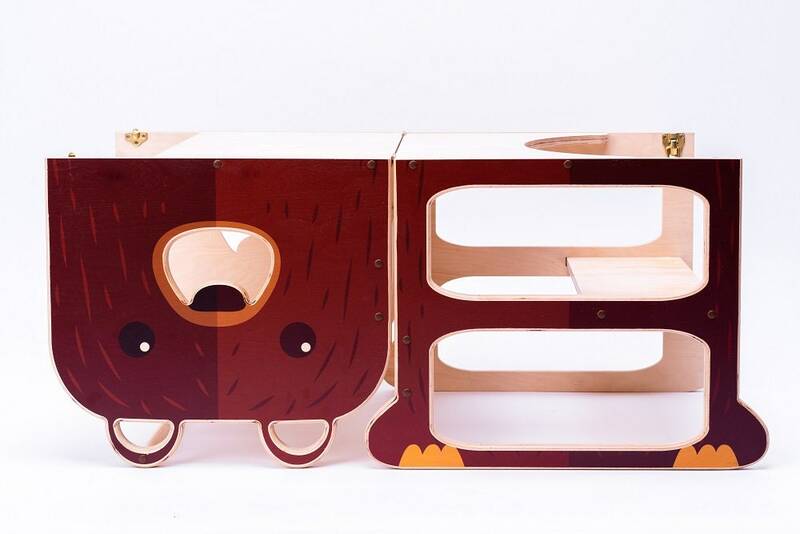 Transform ''Lovely Teddy Bear'' into table and chair form and sit next or in front of your child and read, paint or glue together. How it will help cooking? Transform ''Lovely Teddy Bear'' back to tower and allow your child to help you preparing dinner, for example, stir eggs, blanch lettuce etc. ''Lovely Teddy Bear'' will become not just a friend for your child, but will be as a family member who is allays ready to help the little ones reach unreachable places and achieve new goals. 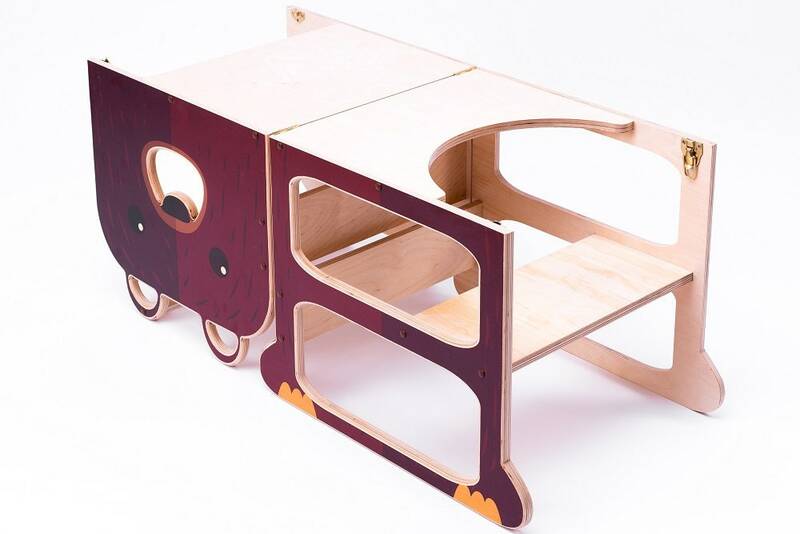 Kitchen step stool can be used by one ore even two toddler in same time. We are a family which already in the second generation is working in the carpentry field by manufacturing furniture for families with children in our local market. We have created kichen helper ‘FAMILY’ as friends for children to make their everyday discovery process more safe, interesting and fun.